Laugh out loud with over 100 JoJo-jokes in this colorful book with a glittery cover! 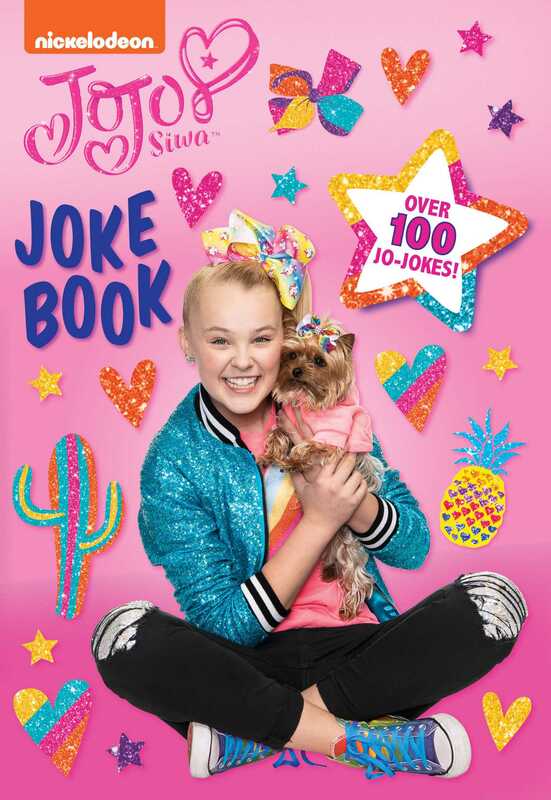 Nickelodeon, television, and social media star JoJo Siwa is a sweet and sassy teen with a can-do attitude who dazzles fans with her love of dance, bows, and her dog, BowBow! What did JoJo say after she got slimed? "Slime flies when you're having fun." Why does JoJo's ponytail need a bow? Why isn't BowBow a good dancer? She has two left feet. Plus, learn JoJo's favorite joke and other bonus facts! This full color joke book comes complete with a glittery cover. A must-have for sleepovers and car trips, this book is perfect for jokesters ages 7 to 10. JOJO SIWA is a social media sensation, singer, dancer, NY Times best-selling author, TV personality (Nickelodeon's Lip Sync Battle Shorties & Dance Moms) and Nickelodeon star. In addition to signing an overall talent agreement with Nickelodeon, she has a global line of consumer products including her signature bows, accessories, apparel, toys, arts and crafts, cosmetics, home goods, bedding, publishing, and party supplies. In spite of these early successes, JoJo's priorities remain at the core of her Nebraskan/Midwestern upbringing and grounded family values. A true ambassador of anti-bullying, JoJo continues to be a prominent and relatable role model for her countless fans, with the strength and power in her message of celebrating individuality, keeping strong in the face of adversity, and never giving up.